Prologue / Chapter: 01 / 02 / 03 / 04 / This translation project has been dropped. Thank you for all the support thus far. 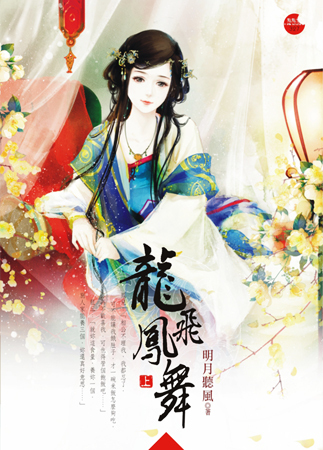 how can I read the continuation of the “Dragon Flies Phoenix Dances”? I really love this novel. I can’t press the chapter 18 and also I”m new here so I don’t know how this thing work. can you please tell me? I am currently collaborating on translating these two novels. From Chapter 8 and up I was collaborating with Evida (http://afaasun.wordpress.com/) on Dragon Flies Phoenix Dances. I am currently going to go on a hiatus because of school and work and will therefore only translate chapters when I have the time. The latest chapter that is translated is chapter 17, the total chapter count is 82. So unfortunately you may have to wait until I’ve (or someone else has) translated chapter 18, but if you can’t wait, you can try google translating the novel. 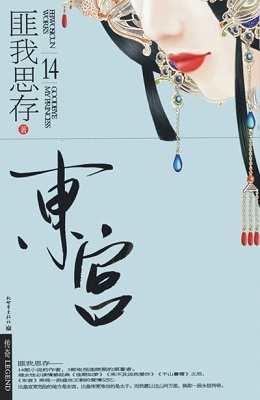 You can go on the Shusheng bar and find the Chinese novel online. Feel free to ask any questions you have, I’ll be glad to answer! Hi karma, have you stopped translating Dragon Flies for good? No I haven’t, I apologize for not updating for so long!! I’ll be studying abroad in China in the upcoming school year, so I’ve been busy with applications and meetings unfortunately. I’ll try to get a chapter done hopefully before school starts though, and hopefully during the summer and while I’m abroad, I will have more time to type out these chapters. Thank you for waiting so patiently!! I think the link for Dragon Flies Phoenix Dances chapter 5 is not working anymore in Evida’s site. Please refresh the link. Thank you for translating! I’m sorry, I can’t do much about that unfortunately. Evida translated the first 7 chapters, so they are all rightfully hers. She may have just moved the page though? So if you want to go over take a look at her site and look for it. I plan on re-translating the first few chapters, but maybe after I finish the novel. Thank you so much, I’m so glad you like the translations!!! 🙂 I’m hoping on translating a few chapters during Spring break which is a week from now. Yeah, trying to google translate this book is hard. I’ll try to get some chapters out during my Spring break. Thank you for having so much patience! You’re welcome! Yes, I know, I’ll hopefully be updating during my Spring break, so look out for that! Thanks for the frank information about your translating schedule – good luck with your studies & I’ve subscribed so I’ll be able to catch up with The Fascinating Mrs. Long San. I have been checking this page regularly hoping to see the next chapter because I really like Dragon Flies Phoenix Dances. I even tried google translate but it can’t be compared to your translation. This novel makes me laugh one minute and cry the next thanks to the female lead (and of course your translation skills). She can bring out all kind of emotions in you.